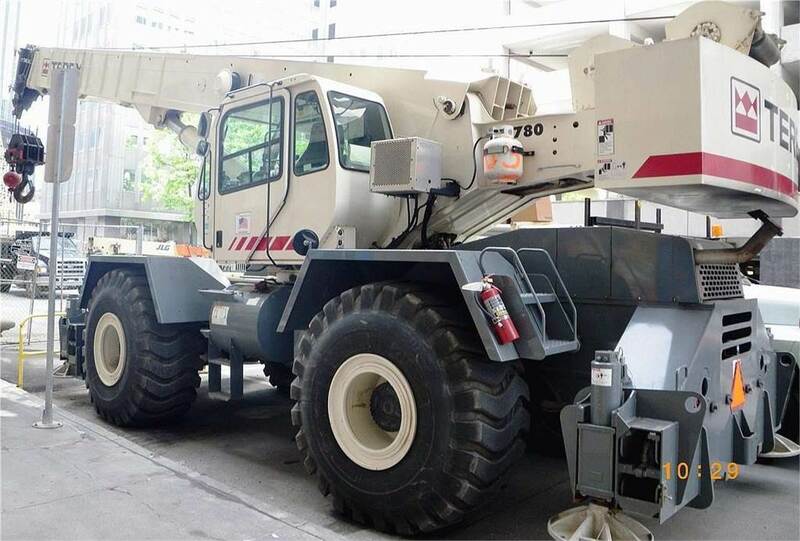 2007 TEREX RT-780 80 TON ROUGH TERRAIN CRANE. 126FT four section full power Boom + 33FT to 57FT Extendible and Offsetable JIB. Maximum Tip Height: 190FT. Options: Dual winches, Auxiliary Boom Head, LP Heater/Defroster & Hydraulically Powered Air Conditioning, 80 Ton Block & 9 Ton Ball, Currently Certified and working, Please contact us for more info and photos.